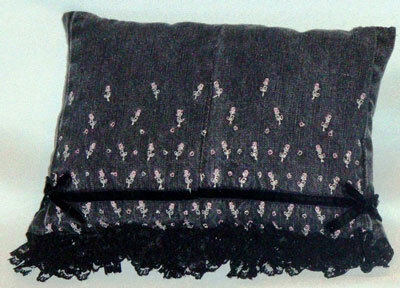 This “jillow” is no longer available. 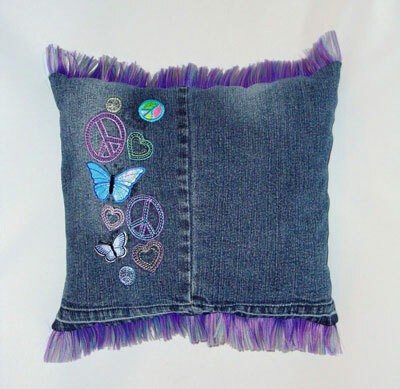 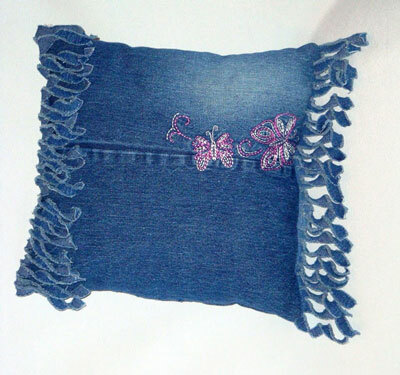 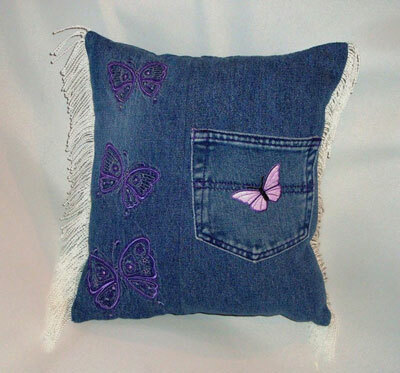 Blue jean jillow with pink & white embroidered butterflies and jean fringe. 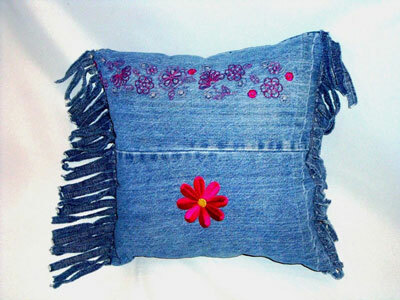 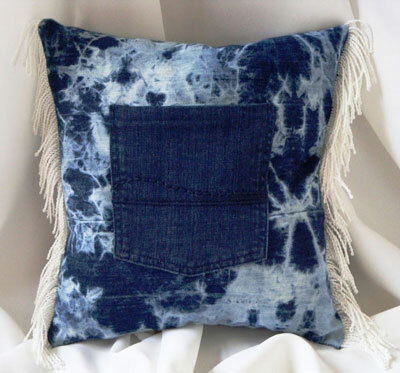 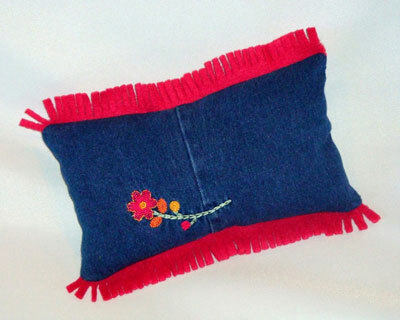 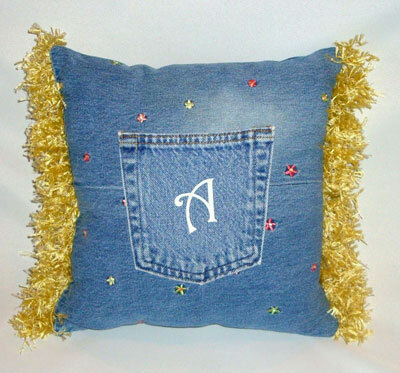 Approximate size 12″ w X 12″ h (not including fringe).